7 Oct 2015 - Existing Airdroid fails to work with Samsung Gal Note 1 with Early version. When trying to upgrade repeatedly get the same Package File is invalid error after trying to clear Cache etc. How do I get a previous version as it seems that all the working ones that do not require a sign on have been removed making the entire process painful cumbersome. Is there another package which works wit out all the hassle of this? I have 2.3.6 but I hear that the instal fails and leaves the device with no AirDroid. The Win 8 AirDroid 3 application cannot see AirDroid on my phone although it does show up on the web page. Isnt there an older version of the Airdroid that will work with what is already on my phone as this is getting so frustratingly tedious. Just cannot believe that there are so many version incompatibilities and that it no longer works with the SD card so there is no way I'd want to lose functionality by upgrading. Is there an older Windows App teat will work with the version I already have? Did you try the apk I gave you? You should be able to install it on your phone. And you need to sign in to AirDroid app and AirDroid Win with the same AirDroid account so that you can manage files in your phone. 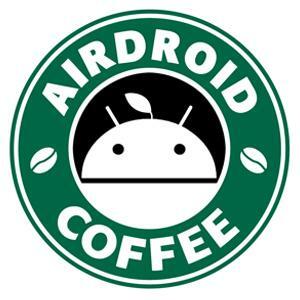 Issues with SD card should be appear on AirDroid Web and Android 4.4+ users. Do you mean you can't manage files in external SD on Android 2.3.6? And can you tell me why you need an older version of AirDroid Win? I have pretty much the same problem ('package file is invalid' when I try to install from Play Store etc). Phone in question is an old HTC Desire HD stuck with Android 2.3.5. I've tried several times to use the APK you posted on Oc 8 2015 but keep getting error messages -- file did not or will not install. Would be really useful to have Airdroid working as I'm trying to migrate stuff to a new phone (Wileyfox Swift running Cyanogen 12.1). Posted this some weeks ago... anybody there?